The Ajanta Caves are rock-cut cave monuments dating from the 2th century BC. The magnificent Ajanta caves were abandoned around 650 AD and forgotten until 1819, when a British hunting party stumbled upon them. 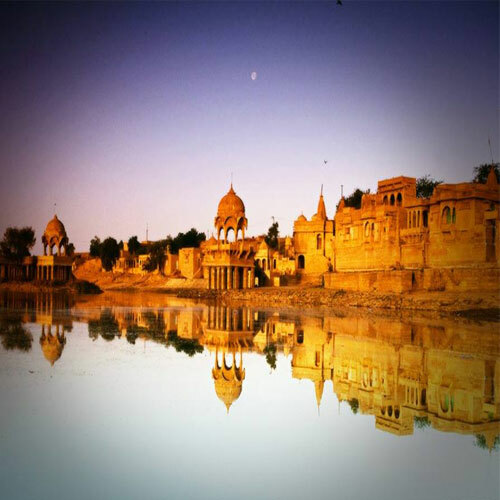 Located in Rajasthan's remote westernmost corner close to the border with Pakistan, Jaisalmer is the quintessential desert town. The yellow sandstone walls of the "Golden City" rise from the Thar desert like a scene from the Arabian Nights while the Jaisalmer Fort crowns the city.